It’s already August, meaning school is around the corner. Your mornings are about to get chaotic and frantic trying to get everyone out the door on time. Though you may be tempted to drive more aggressively than normal, trying to beat the clock is not worth the cost of a life. Don’t block a crosswalk or intersection when waiting for a red light or making a left hand turn. 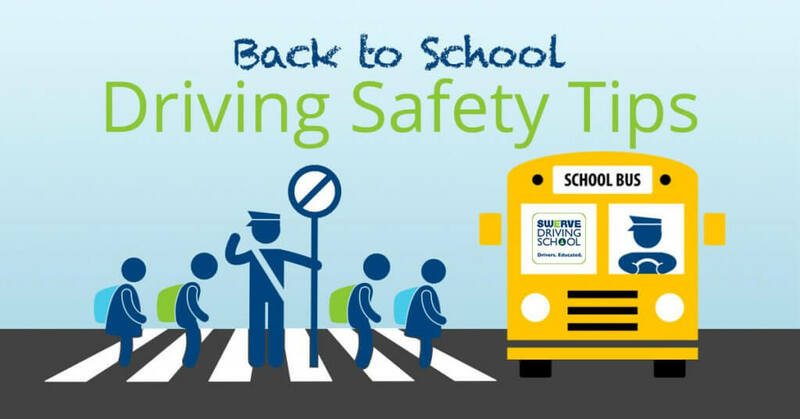 In a school zone where the caution lights are flashing, you are to obey the speed limit and yield to pedestrians and bicyclists in the crosswalks. You must always stop for a crossing guard or school patrol officer who is holding a stop sign. Be careful and watchful for bicyclists near schools, parks, and residential areas. When making a left-hand turn, yield to a bicyclist coming from the opposite direction before making your turn. This situation is where the most bike and vehicle incidents and collisions occur. When making a right-hand turn, check your mirrors for bicyclists. If a bicyclist is present, leave at least feet between your car and the bicyclist. Seek to make eye contact and allow the bike to pass you before you turn. Check your side mirrors before opening your car door and always use your turn signals. When coming to a stop behind a stopped school bus, stay at least 10 feet away so children exiting the bus can do so safely. It is illegal in every state to pass a school bus while its yellow or red lights are flashing and the stop arm is extended. Even after the bus turns off its lights and its stop arm is no longer extended, you should not pass it as there will be kids around and some may want to cross the road. Leave a safe following distance. You never know when or if they’ll need to suddenly stop. A safe following distance will help you avoid you rear-ending them. Don’t pass a stopped car. The car can be stopped to drop off children or it can be stopped to let kids cross the street. Kids are notorious for meandering in and around parked cars. Avoid trying to squeeze by cars to make a right-hand turn. This maneuver may cause you to get within a few feet of kids on the sidewalk who can jump into the street suddenly for multiple reasons. Don’t honk. All the other drivers are likely to be stressed out too. The alarming sound of a car horn can rattle other drivers, even more, increasing their chances of making poor driving decisions. Along with other frantic drivers, there may be some inexperienced teen drivers on the road taking siblings to school. You can be a good example for these new drivers by being patient and practicing safe driving. Let this school year be safe for everyone. It starts with your defensive driving, anticipation, and patience. If you think your safe driving skills aren’t up to snuff, we offer adult driving refresher courses to help your confidence behind the wheel.